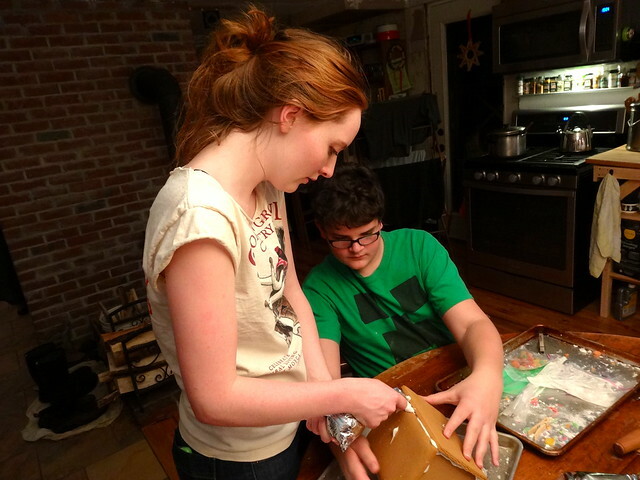 A few years ago, the kids got into making gingerbread houses, sometimes homemade, and often from kits. 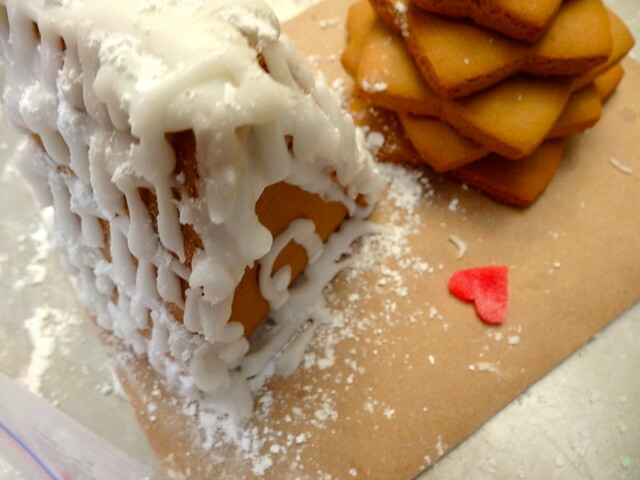 It's all about the process for them and they consider making gingerbread houses an essential part of their yuletide. It's a fun tradition for them, and one that is completely independent of us. 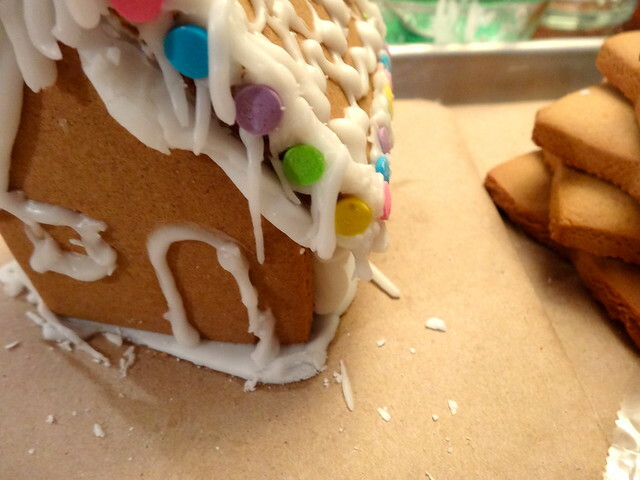 They did have a few challenges this year, which mostly consisted of the wood stove making the icing too warm. Also, I neglected to let them know where the frosting decorating kit was or that it was even at this house, so they made do without. Oops. 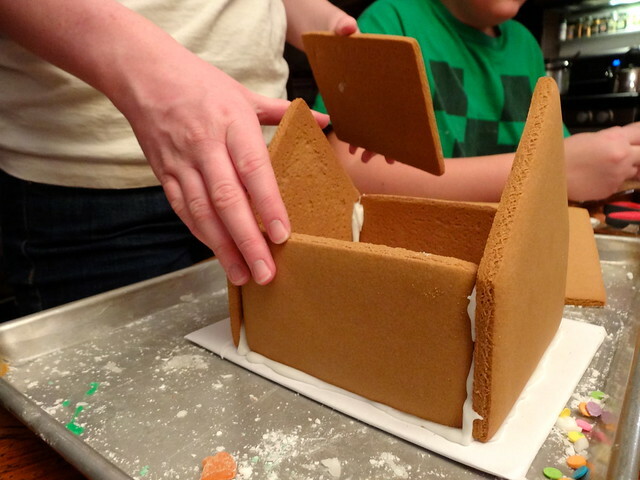 With luck, the icing will dry overnight and the roof won't slide off (again - and the glue gun is at the other house) and they can set their gingerbread village up on the dresser in the kitchen. So, maybe this year's doesn't look quite like they envisioned. It's the hours together, the goofy, whimsical, constructing that they love. And as traditions go, that is what matters.